Here is the link to our private Facebook page, just click on the request to join. Here is the link to their Facebook page. It is a private page so click on the request to join. This organization can help with home building, home winterization, energy, and cell phones for those that are in need. Free books for children from birth through 5 years old. Free books for kids, there is no age limit. Parenting tips and resources for kids up to age five. A volunteer can come to your house with age appropriate activities for your child/children. You can loan equipment you need for your child. They also have the computer for kids program (see the next bullet below), evaluation services, and a secondary transition conference each year (transitioning to adulthood). In addition they have an alternative financing program to help parents pay for equipment they might need. You can get a free computer for your child. Great information on educational programs. This organization sends you a big red box with helpful information, tools, and supplies to use for your child if they have a tendency to wander off or elope. This non-profit organization gives adaptive bikes to kids with special needs. All they ask is you give the bike back or pass it on to someone else with special needs who can use it once your child is done with the bike. If your child is overweight then you can get a gym membership to help them lose weight. This is connected to Medicaid do contact Medicaid for assistance with this. Baseball and soccer for kids with special needs. Sports for kids with special needs. Must be 8 years or older. Sled hockey for kids with disabilities at Tautphaus Park in Idaho Falls during the winter. Skiing with adaptive ski equipment for children with disabilities at Targhee (Higher Ground) and Jackson (CW Hogg) ski resorts. Horse riding therapy for kids with disabilities. Therapy in the water for children with disabilities. Once every other week in the summer Rexburg Rapids offers half price entrance to a child with a disability and their service provider. Call Rexburg Rapids to get the details. Once a summer Lagoon in Ogden, Utah offers admission tickets half price to a child with Down syndrome and their families. 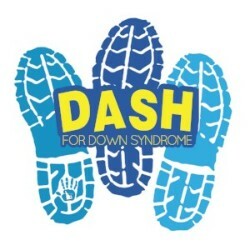 The Utah Down Syndrome Foundation sponsors this event. Typically the tickets are buy one get one free for up to 8 tickets. Call Lagoon for specific details. Once a year in June the Tautphaus Park Zoo in Idaho Falls has a free night for children with disabilities and their families. 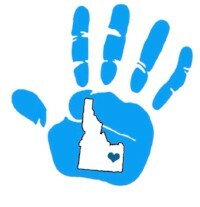 Check our Eastern Idaho Down Syndrome Connections private Facebook page in May for details.